HackerRank and ZenRadius, two recruitment technology start-ups raised funding in the last ten days. Although they are both technology-based start-ups catering to the recruitment function, their functionality and market position are different. HackerRank is used by companies as a talent hunting pool for coders and enables companies to recruit technical candidates based on meritocracy, and ZenRadius is a referral hiring platform. The former has raised $7.5 million in “strategic investment” from Japanese Recruit Holdings’ HR Technology Fund, in what is its third round of investments since the company started in 2012. On the other hand, ZenRadius, which was launched just this month, has received seed funding from TraxcnLabs. Recruitment start-ups, regardless of their experience and life-span, are starting to grab the attention of investors. There has been an accelerated investment activity in the recruitment start-up space in the past one year. Other than the above two, there are multiple examples to elucidate that argument. Belong, an analytics-based talent sourcing start-up, raised $5 million in Series-A funding from Matrix Partners India, Blume Ventures and other angel investors few weeks ago. PiQube, a hiring intelligence tool, raised $500 K from The HR Fund; Hiree raised funding of $3 million from IDG Ventures; AasaanJobs raised $1.5 million from Inventus Capital Partners and IDG Ventures; and GrownOut, a referral hiring analytics platform, raised funding from Outbox Ventures and Matrix Partners India. Talview, TalentPad, and MyRefers are others on the list of ‘Recruitment start-ups that have attracted funding’. The genesis of this growth in the recruitment start-up space is the need of companies for actionable solutions to the overwhelming recruitment problem. The expansion of businesses has accompanied the increase in expectations from HR. Companies are under pressure to find talent that can fuel their innovation and growth. 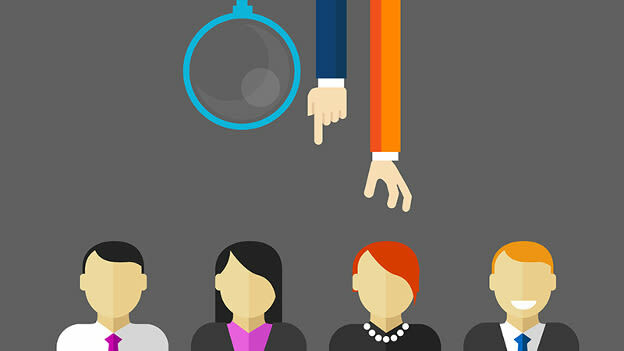 They require candidates with specialized skills to match the unique job profiles. Along with this, processes are inadequate which are prone to human error and inefficiencies. Companies are struggling both internally and externally to keep up and cope with the needs of the business. The struggle to recruit right and fast is getting intense for the companies. According to ManpowerGroup’s ‘Talent Shortage Survey 2015’, 38 per cent global employers reported talent shortages. If we talk about ramifications specifically in the IT sector, talent shortage could mean delayed IT projects (cited 79 per cent), poor-quality IT projects (48 per cent) and missed revenue opportunities (33 per cent), according to a survey by InformationWeek. These are worrisome numbers for business leaders, and they are on the lookout for solutions to this problem. This demand for solutions has turned around this problem into an opportunity in disguise for entrepreneurs who are aspiring to provide solutions for the ‘talent recruitment predicament’ of organizations. The market potential is huge and it is yet to be exploited. Recruitment happens to be the fastest growing industry in India. We estimate the HR Industry to be close to INR 40,000 (excluding skilling) and recruitment is the largest segment accounting to at least one-third of the total. The business challenges are ripe to be solved and the recruitment space has attracted many entrepreneurs attempting to crack this problem. People Matters’ TechHR Spotlight Awards (recognize start-up products in HR, a subset of the TechHR Conference and Exhibition) saw 74 total applications and 38 of those belong to the recruitment space. What is interesting is the way start-ups are trying to find solutions is bringing innovation and disruption once again to the recruitment space. This is a new generation of recruitment technology, shares Sumit Gupta, CEO and Co-Founder of GrownOut. “The first generation of innovation was the era of job portals. It enabled companies and candidates to posts jobs and resumes online respectively. Then came social media -- it was the generation of using professional and social networking portals for jobs. Today, the innovation is surrounding leveraging data available online and using Big Data and machine learning to make that candidate data actionable for the recruiter.” GrownOut is a referral platform that uses the power of aggregating data from social and professional networks and shortlists candidates on the basis of candidate fit and readiness for job change. HR Fund’s Utkarsh Joshi feels that start-ups addressing the recruitment problem will continue to emerge as the potential for innovation is the highest in the recruitment space. “The need and consequent demand of solutions in the recruitment industry is huge. The space is so big that it can accommodate multiple start-ups. The industry can expect a lot of consolidation in the next two years. And once the space settles down and a business leader emerges, clarity will follow on a workable solution,” he said. This is something that companies must be hoping themselves, because with their growing business needs, it is imperative they find a solution for sourcing talent. Maybe these start-ups can be the answer to their questions.